"Arthur Pratt. Everybody was telling me, if I was looking for a filmmaker in Sierra Leone, go meet with Arthur Pratt," says Banker White from his office in San Francisco. Across thousands of miles, speaking from his home in Freetown, Pratt tells the exact same story from his point of view. "People were telling [Banker White] about me because people know me as one of the first filmmakers in Sierra Leone." This was the start of what has become over a decade-long professional collaboration between the two filmmakers, one that resulted in their new documentary, Survivors. White spent a great deal of time in Sierra Leone, starting in 2002 while filming his and Zach Niles' multi-award-winning documentary, Sierra Leone’s Refugee All Stars (2005), and has been working in the region with Pratt ever since, providing education and mentorship to burgeoning African filmmakers. Together the two founded the first African-owned media collective in 2009, the WeOwnTV Freetown Media Center. 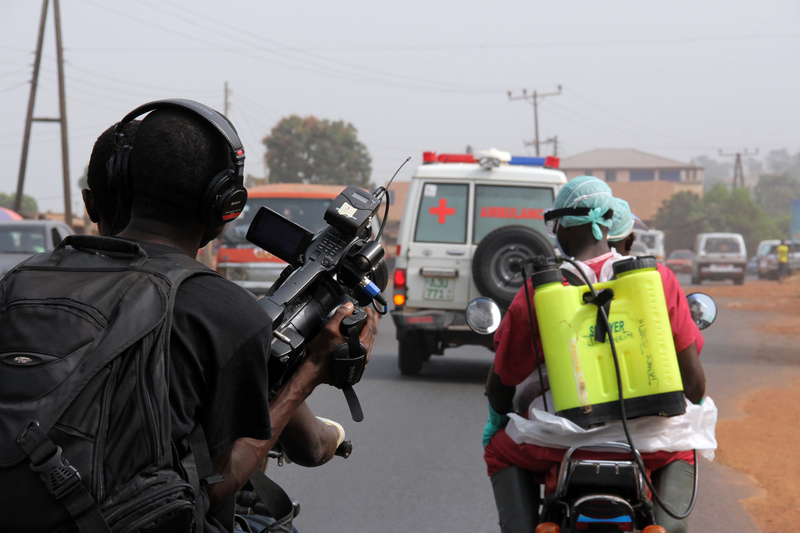 When the recent Ebola outbreak first began, Pratt and his team of fellow filmmakers were already busy collaborating with White and his US team producing short films, editorial documentaries and public service announcements when Pratt began to notice a concerning trend in the news coverage. "In Ebola-affected areas, the situation on the ground was not what was actually shown to the rest of the world," says Pratt. "The rest of the world was not seeing the fact that first respondents in this situation are locals, not international workers." At the time, Pratt, who is not only a filmmaker, but a pillar in his community as well as a pastor, was seeing more and more of his friends, family and congregants experiencing life under the threat of Ebola. He and his wife were also expecting a child. It was under these circumstances that Pratt approached White about what has come to be Survivors, the first full-length feature documentary produced by the Freetown Media Center. "The headlines that were running on every major station were telling the world about what was happening, so I think it became more and more important to Arthur [and his fellow Sierra Leonean filmmakers] to tell their own story," White says. Pratt began interviewing and filming anywhere he could—his neighborhood, local makeshift medical clinics, the ambulance dispatch center, the bustling streets of the city’s center—to capture life being lived amidst the outbreak, rather than the deaths it caused, and sending the footage back to White in the US. "In government areas or the Ministry of Health, they were blocking local media from getting access to information," Pratt says. "But they opened the doors wide to the international press. It was frustrating, but we managed." Pratt gives the impression that he allows very few things in life to get in his way. "You cannot stop me from doing my work," he insists. Pratt's extreme care with a camera lens, as well as his subject matter, are on full display in the film. The meticulous attention to detail one must develop to avoid contracting the Ebola virus, is mirrored in the same fastidious cinematography used to document the day-to-day lives of his fellow Sierra Leoneans. "Arthur and I worked really hard to make sure we showed the different aspects of people's experience of the disease," White says. "For example, what an ambulance driver's life is at work and also at home with his household and children, or Nurse Margaret's work, but also her concerns of potentially bringing the outbreak home and how she handles that." White is referencing a scene in the film of Pratt interviewing Nurse Margaret Kabba Sesay, a community health nurse. She works at an Ebola treatment center, unbeknownst to her family (she doesn't want them to worry about her) and has quarantined herself due to the danger of her job, even though she is uninfected. In one of the film’s most moving sequences, Margaret preps for work and, equipped with a body camera, the audience sees life from inside her full protective suit. She enters the room of a friend and colleague who contracted the virus, embraces him and they stand holding hands in prayer. "I believe God is the impossibility specialist," she says. The film doesn't shy away from loss and the sobering death toll in Sierra Leone from Ebola, but it doesn’t dwell on it either. In fact, the only death that makes up a significant plot point in the film is not because of Ebola. A young boy featured throughout the film named Foday has spent two years homeless and is finally reunited with his father. We have watched Foday transform from a wayward child sleeping on the street and sifting through garbage dumps in search of unused medicine to sell, into a dutiful son taking care of his aging dad. When his father subsequently passes away from natural causes, Foday inherits his home and is busy fixing it up and connecting electricity, eager to make a life that would make his dad proud of him. "It's not a film about Ebola," White says of Survivors. "It's a film about the people of Sierra Leone and how they were affected by Ebola, how they were going to stop it." Hundreds of hours of footage from the making of the film now resides in an archive entitled WeSurvive: Stories of the Ebola Outbreak. 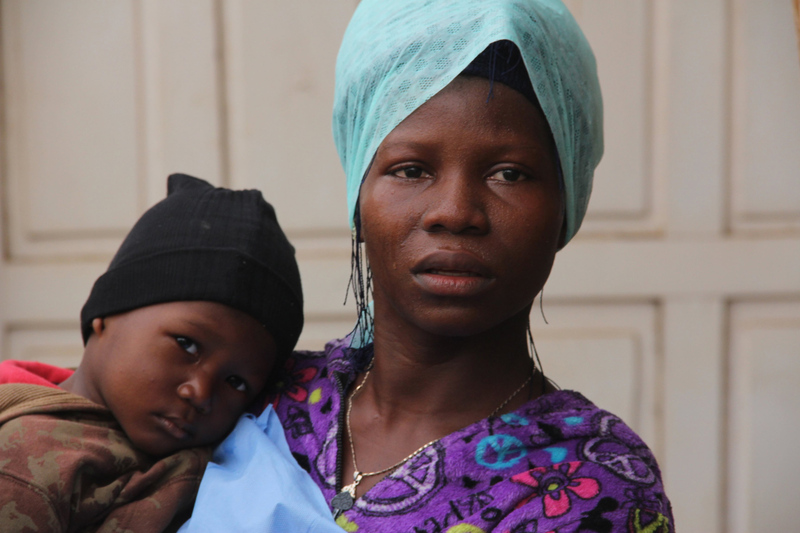 The Web-based, oral history database contains personal video testimonials from Ebola survivors, their family and other community members. Like everyone else interviewed for the film, Pratt, too, is a survivor. "Everything that makes me who I am is under attack," Pratt says at the beginning of the film about life during the epidemic. At the end of the film, which coincides with the end of the epidemic, Pratt is very much himself. In one scene he is teaching a young man how to set up a camera. In another, he films Nurse Margaret at a celebration for her formerly sick colleague who, having made a full recovery, is smiling and surrounded by friends and family. "For me the greatest miracle is to make a change in the life of somebody," Pratt says. "That is why we are here: to give meaning to life." Survivors airs September 24 on POV. Sarah Haufrect is an MFA candidate at OTIS College of Art and Design in Los Angeles. In addition to Documentary magazine, she blogs for Psychology Today and works as a communications director for a private philanthropist. More at https://sarahhaufrect.com/.